You might recognize these two from a blog post I wrote earlier last year about their engagement shoot. I knew their wedding was going to be amazing the moment I met the two of them, but it truly was such an elegant and fun evening! 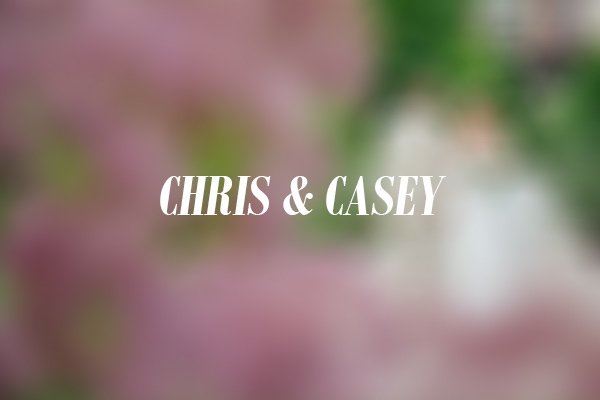 First of all, Chris and Casey are just beyond cute together. The way they look, smile and interact is so endearing. One of my favorite parts of a wedding day is when the couple sees each other for the first time, dressed to the nines and blissfully on cloud nine. I was especially excited for them to see each other. There were nothing but smiles from ear to ear. Casey has an impeccable sense of detail and style, as you’ll be able to see from these photos. Everything was so beautifully coordinated, yet retained a fun, laid back and intimate environment. I think my favorite detail was the illuminated C&C signs. They helped some of the other detail shots look so editorial and magical. The summer ceremony was held outside with the musical styling (lol i love that phrase) of our good friends the Shaw Brothers. If you’re looking for some awesome ceremony or even reception music, they’re where it’s at! They play from the heart, and for wedding music, I think that’s hard to find. Creekside in Gahanna is a great ballroom where during the day, lots of natural light beams through the windows that line the perimeter, and after nightfall, the room is illuminated with colorful LEDs. The footprint of the room is in the shape of an “L”, which I wasn’t sure about at first, but it really worked nicely, and gave center focus to the dance floor. The dance floor is topped with a curved ceiling, which makes for a grand and unique setting for the first dance photos!